Are You at Risk of Losing Irreplaceable Files? ................................................  How often should I backup? ................................................  What should I backup onto? ................................................  How do I do it? We all know that we are supposed to backup our files on a daily basis, but that dosen't always happen for many reasons. If you don’t back up each day and keep the backups in a safe and secure separate location, your vital and irreplaceable files and information could be lost at any time. Finally, after a lot of searching and research we have found a simple, easy to use, powerful and foolproof backup system that has no equal ... Carbonite On-Line Backup.  Low cost - at just $59 per year it is a very small price to pay for peace of mind.  Completely Safe - all your vital data and files are available for instant download.  Easy to use - you just set and forget and Carbonite does the rest. ....... Limit to the amount of data you can store with Carbonite for that one small fee per computer. These advantages makes it an essential tool for any person or practice using HealthQuest. There have been to date, four practitioners who have lost their all of their data due to computer glitches, crashes or theft. Carbonite will prevent you from being among that unfortunate group. We have included some further information from the Carbonite website to help you understand the critical need for a consistent, safe and secure backup system. Why Use Carbonite Online Backup? Have you considered how much of your business and life is on your computer? How would you feel if you woke up tomorrow and you found that everything was gone?  Accidentally deleting your own files.  Theft - Only 3 out of 100 stolen laptops are ever recovered.  Hard drive crashes - Up to 13% of hard drives crash in their first year! You need to be aware that losing your most valuable files is a very real possibility. You need to take proper precautions. 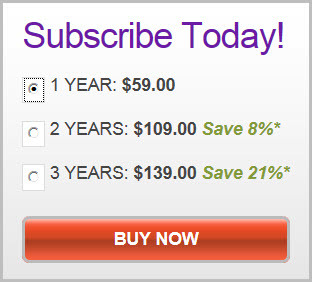 A 15 day Free Trial makes it very easy for you to get started with the On-line Backup system. You can sign up for the free trial and discover yourself just how easy it is to securely protect the irreplaceable contents of your computer. Carbonite installs a small application on your computer that works quietly in the background looking for new and changed files that need to be backed up. It looks and feels just like part of your computer, and is integrated with your desktop  there's no new interface for you to learn. When your computer is idle, Carbonite automatically backs up your new and changed files. You don't have to do anything! When you're using your computer, Carbonite goes to sleep so it will never slow you down or interfere with your Internet connection. All your files are encrypted twice before leaving your PC. Files remain encrypted at Carbonites secure data centres, so only you can see your files. If you accidentally delete or otherwise lose files, it takes just a few clicks on your desktop to get them back. If your computer is damaged, stolen or just dies and you lose all your files, all you have to do is visit Carbonites website from a new computer. Within minutes you'll be able to begin restoring all your files. Carbonite backs up everything in your Documents and Settings folder, including documents, photos, email and data files from applications, such as Quicken, Money, etc. Once a subscription is purchased, music is also added to the list. You can also include programs (such as HealthQuest), system files, temporary files, videos, individual files greater than 4GB and anything else you can think of yourself. How does Carbonite Online Backup keep my data secure? How much stuff can I back up? There are no limits on backup storage capacity. Carbonite will back up all the supported files on your internal hard drive whether you have 10GB, 100GB or more.